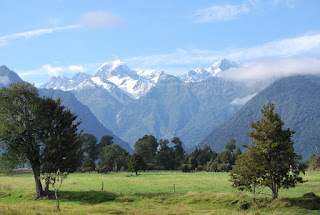 Here are the tallest mountains in New Zealand (Mt. Cook is the one with snow) as viewed from the west. 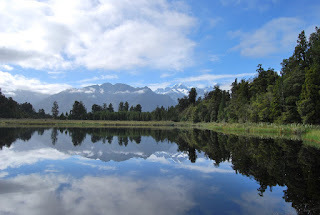 Reflection is in "Lake Matheson".